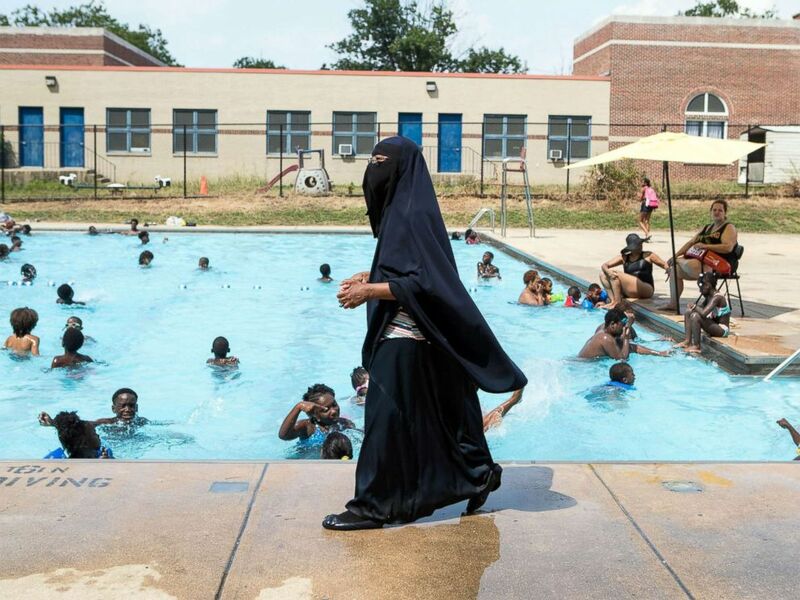 The pool employee who allegedly told children wearing hijabs that they could not go into a public pool has been reassigned as tensions over accusations in Delaware continue to make waves. The leaders of a Muslim children's summer camp joined with an advocacy group to sent a cease and desist letter to the Wilmington mayor's office over what their attorney called conduct that "contravenes basic standards of decency." 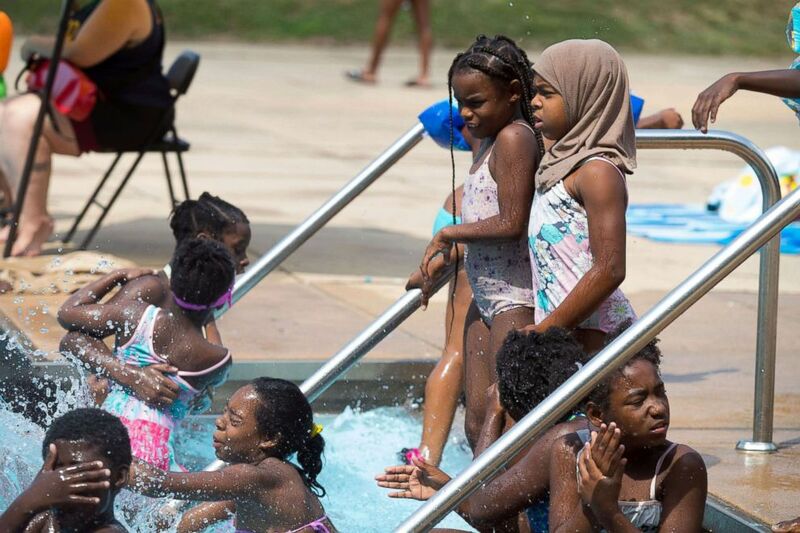 The cease and desist letter was the latest move in a weeks-long saga over whether the Muslim children were appropriately treated at the pool, the fallout from which included a public apology from the city's mayor and a postponed meeting between the camp leaders and the mayor. Auliyn Brown, right, enters the water at Dr. Foster M. Brown Pool, July 12, 2018 in Wilmington, Del. The letter was written by attorney Juvaria Khan, who works with the civil rights group Muslim Advocates and is representing the staff of Darul Academy, which runs the summer camp. Khan wrote that the staffers at the pool "the staff has consistently used derogatory terms to refer to these children, creating a hostile environment and, on several occasions, preventing them from accessing the pool altogether." When "pushed for an explanation," the staff allegedly pointed to an unwritten policy banning cotton in the pool, which presented a problem based on the children's religious clothing. "In reality, the staff can point to no such written policy, and these purported explanations are merely pretext for the true motivation behind their conduct: discrimination against these children on the basis of their race, religion, and/or socio-economic status," Khan wrote in the cease and desist letter. Director of Darul-Amaanah Academy Tahsiyn Ismaa'eel watches over swimmers from her school, July 12, 2018 at Dr. Foster M. Brown Pool in Wilmington, Del. John Rago, the deputy chief of staff for Wilmington Mayor Michael Purzycki, released a statement saying that the letter and the allegations are "being taken very seriously." The manager at the Foster Brown pool has been reassigned, Rago said in the statement, and noted that the investigation into the allegations is ongoing. "For the remaining 15 days or so of this pool season, there will be a very liberal policy in place regarding proper swimwear without restrictions on the types of fabrics worn. During the off-season, the City will review its pool regulations to strike an appropriate balance among several factors, include religious expression and the safety of the swimmers," Rago said in the statement. 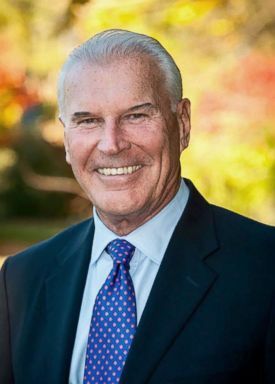 Wilmington Delaware Mayor Mike Purzycki in a photo posted on the city of Wilmington's website. Purzycki apologized on July 14 for one of the alleged incidents that happened on June 25, saying that officials used "poor judgment" in the situation. "We should be held accountable for what happened and how poorly we assessed this incident," he said in his July 14 statement. “What they want out of this is to be treated equally and to know that they can show up at Foster Brown or any other pool and know they can use it like anybody else,” Khan said.